AURORA, Ill. – Gary Baer views his life as a “miracle.” His personal, painful math is 30 years of addiction to alcohol and other drugs, six stints in rehab, and three suicide attempts. But in 2004, Gary had a spiritual awakening. Then he got clean and sober, earned a bachelor’s degree in biblical studies from Moody Bible Institute in Chicago, and received a master’s in evangelism and leadership from Wheaton College. 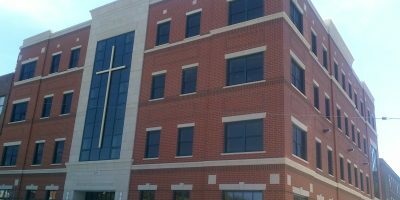 More recently, the Oswego resident was awarded a certificate in drug and alcohol counseling through Aurora University. Gary and his wife Linda say they have also witnessed miracles in the lives of many others. 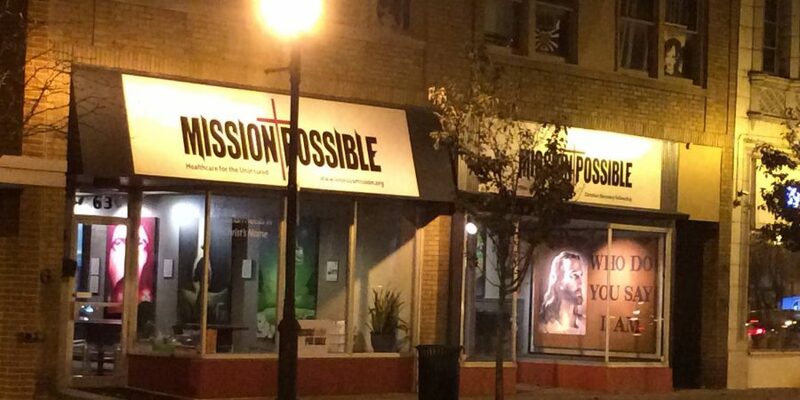 Those are the physically and financially challenged men and women who have sought help at Mission Possible, the Christian ministry that they have operated at 63 S. Broadway in downtown Aurora for the past seven years. That net is actually a “net-work” of 475 mission-minded volunteers who serve at the ministry at least once per month, some more frequently. They include doctors, dentists, hygienists, optometrists, opticians, chiropractors, nurses, nurse practitioners, occupational therapists, physical therapists, speech therapists, life coaches, nutrition specialists, interpreters, receptionists, schedulers, and church mentors. Since Mission Possible opened in February 2012, the ministry has provided more than 9,000 free healthcare visits, the equivalent of over $1.6 million in medical costs. And even though the ministry is equipped with highly skilled practitioners, Linda, an Aurora native, also believes in medical miracles. “We have seen the blind see, the lame walk, and a dead man come to new life,” she asserted. That “dead man walking” was named José, who came in for routine dental work, Linda recalled. 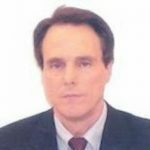 But when the dentist noticed that his patient had unusually high blood pressure, he referred him to a physician, who diagnosed renal failure and successfully treated him for the potentially fatal disease. “If the dentist had not noticed that, he would not be here,” she said. José’s name is now on a waiting list for a new kidney. Then there was a young grandmother, Janine, who came in for a vision test but did not realize that she was going blind. “She could not tell the difference when I held up two and three fingers right before her face,” Linda recounted. Janine was referred to an eye surgeon, a donor was prayed for and found, and successful cataract surgery was performed, restoring her vision. But perhaps the most supernatural healing took place in a patron name Francisco, who walked into Mission Possible limping from a diabetic wound in his foot. Linda worked on his locked ankle off and on for six months with limited success. 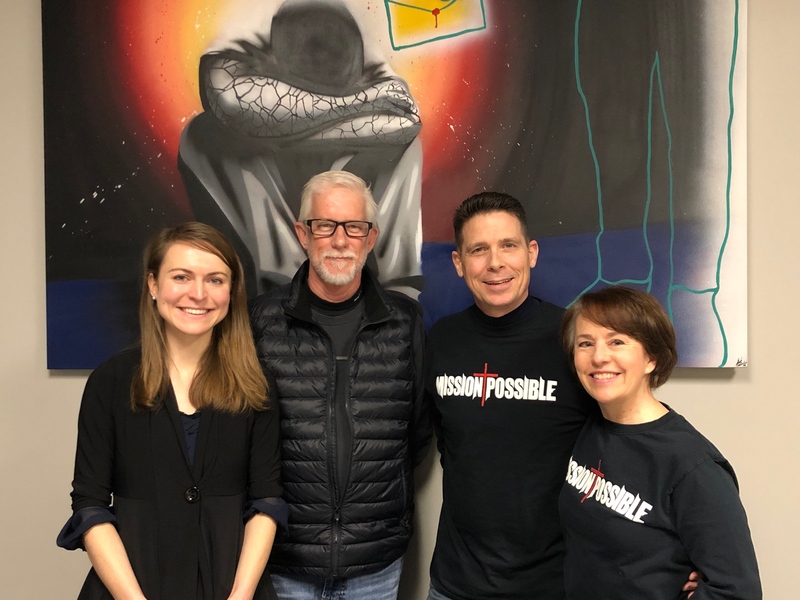 The Baers will soon be embarking on their own faith walk, as they will be leaving Mission Possible to live near their three adult daughters in Seattle. Taking over full rein of the ministry will be Marina Koval and Tim Smith. Marina immigrated here from Ukraine with her parents and six siblings in 1999. She later earned a doctorate in pharmacy from the University of Illinois-Chicago. She began as a volunteer at Mission Possible and became the clinic’s director of free healthcare in September 2017. The Montgomery resident has no doubt that Mission Possible will continue to prosper because of the training that she received from the Baers, the dedication of the volunteers, and the help from on high. Tim worked in the oil industry for 36 years and has been spending his “retirement” as the ministry’s chaplain. 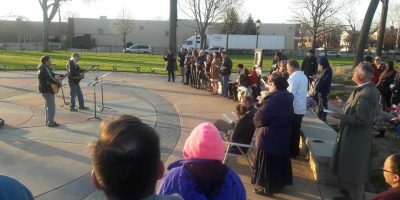 All of the patrons are offered prayer, and over the years “only a handful” have declined it, Gary said, adding that nominal donations are suggested but not required. The ministry also provides free haircuts; computers for those seeking work and/or reconnection with loved ones; and informal, Bible-based life-skills classes. “We call it street-level theology for the rough and tumble,” says Gary. Mission Possible is a 501(c)3 nonprofit organization. It is open from 5 p.m. until 9 p.m. Monday through Thursday, and from 9 a.m. until 1 p.m. on Fridays. Appointments may be made by calling (630) 801-0086. Those who wish to donate, volunteer, or just learn more about the ministry may visit the website at www.onjesusmission.org. The Baers are already looking into ministerial opportunities out West, but for now their hearts remain in the city of lights. They are fervently praying for more volunteers at Mission Possible, especially for the dental clinic, which comprises 60 percent of their medical care and where there is an 18-month wait for services. Based on past praise reports, the compassionate couple has faith that their prayers will be answered and that the ministry is being left in good hands.